My neighbourhood drug store is kind enough to give points when you spend lots of money there. I like to save my points for specific item, what can I say I like a goal. So when I reached the 30 dollars off my next purchase point I knew exactly what I wanted. I had read so many great reviews on this product I knew I was ready to take the plunge and buy it for myself. 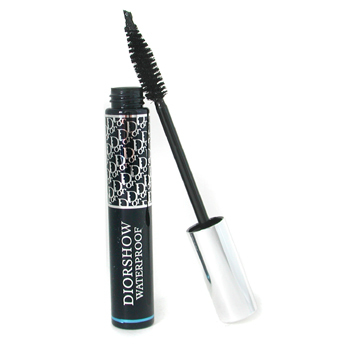 So far I am really please with the results I get from DiorShow mascara, I have never had a mascara separate my lases so well. It also has this amazing rosewaterish sent to it that I' banana's for. Even Bella my dog was intrigued by the sent, and tried to lick my lashes off. The brush is huge, thick and luscious, its what really convinced me to give Show a try Being a reddish haired girl my lashes aren't super, and I do wish Show gave a little more length. But I also find mascara works better after being used for about a month, so maybe I will get more length then, . At 31 dollars a tube the price is a little steep, but I would for sure save up my points for it again. Hope you have a luscious lash day.